Currency Trading is a challenging domain, very true! 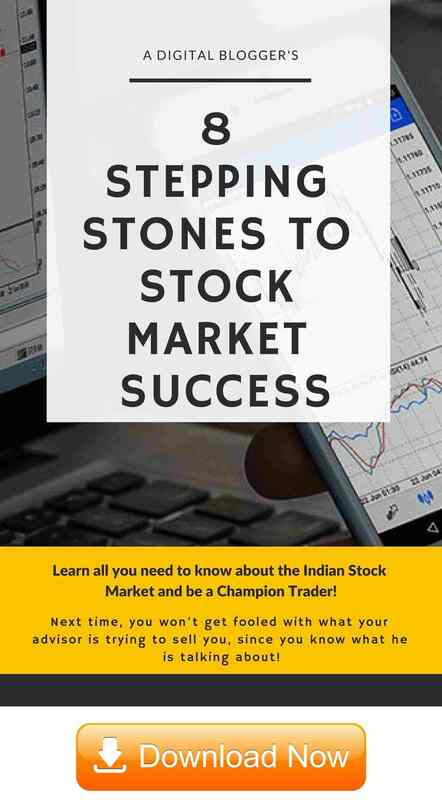 Many traders trade equity, commodities, derivatives, options, futures and many other forms. Each form of trading requires a specific set of expertise and skill level. They all have their advantages and drawbacks. A trader must understand his trading objectives, risk appetite and personal goals in order to decide the type of trading he gets into. As mentioned above, one of the toughest and most interesting forms of trading is the Currency Trading. Currency Trading, basically, is the buying and selling of foreign exchange or currencies. It is one of the largest financial markets if the world, where over $5 trillion of world currencies are traded on a daily basis. It is the most exciting form of trading, which is largely dominated by big parties like banks and institutional investors, but it offers a lot to retail investors as well. Gone are the days when physical intervention was required. Now due to the advent of technology, the information on foreign exchange and other information required for currency trading is available to all the participants, big or small. The bottom line is that currency trading occurs all across the world and the information flows seamlessly from one corner to the other. For obvious reasons, the purpose of buying and selling currency may be different from a different set of people. For instance, a corporate may be trading currency to hedge their order related risks, while a traveller may be buying currency for his travel expenses. Similarly, a trader maybe doing the currency trading to gain from the price fluctuations. Hence, whatever the ultimate objective is, currency trading happens in high volumes and all around the world, round the clock. The most important aspect to understand about currency trading is that it is traded in pairs. The pair consists of two currencies, one being the Base Currency which is always fixed to 1 unit of the currency and the other one is the Quotation Currency which equates to the Base Currency. The base currency/quotation currency leads to a Value which is the value of the Quotation Currency against the Base Currency. When we say USD/INR=67, USD is the Base Currency, INR is the Quotation Currency and 1 USD= 67 INR. 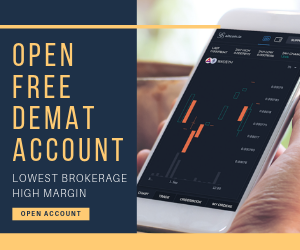 In a similar way, there are many currency pairs that are actively traded all across the globe and it is the movement of the price of these currency pairs that constitute the trigger for currency trading. Now, it is very critical to note the difference between stock trading, or any other form of trading, and currency trading. While trading stocks, the trader either has a bullish perspective or a bearish one. In the case of currency trading, the trader must have a dual perspective. For example, if a trader is buying a USD/INR pair, he is expecting the value of the pair to go up, which means that he is expecting USD to appreciate and INR to depreciate alongside so that the final value of the currency goes up. Therefore, the trader has a dual view of being bullish on the base currency and bearish on the quotation currency. Also, when the price of a currency pair is mentioned, it contains both the bid and the ask price, i.e. the price at the which the pair can be bought and the price at which it can be sold. The price fluctuations in foreign exchange are represented by pips, which stand for percentage in point. The prices are shown to the fourth decimal point and the change in the fourth decimal point is called 1 pip which is equal to 1/100th of 1%. Having said that, trading occurs due to movement in prices. The prices of currency pairs are affected by the world economy and multiple other factors. Also, because currencies are traded in pairs, the exact impact of an event on the price of the pair is difficult to judge because there are two currencies involved. For example, if two economic events occur simultaneously- first, increase of Foreign Direct Investments to India and second event positively affecting US economy, then both USD and INR are expected to appreciate or become stronger. The overall value of the currency pair may go up or down, depending on how the market assimilates the information. There is no straightforward answer to whether the USD/INR will go up or down. Therefore, currency trading is relatively risky and volatile and depends not just on the market conditions and events, but also on the dominance of the events and the market’s reaction to these events. Currency Trading is mainly speculative in nature and is mostly carried out by the institutions, individuals and funds who want to gain money and make profits due to their opinion about the price fluctuations in the foreign exchange as an effect of world events and economy. There is no physical settlement in currency trading. The currencies are not physically exchanged but it is just the profit and loss that get calculated and recorded to the trader’s account. Currency Trading in India has picked up a lot in the recent past. It is an innovative and new investment instrument, which is risky yet rewarding. However, there are certain restrictions on currency trading in India. Firstly, it is only permissible to trade in currencies that are benchmarked against INR, and traders cannot trade in foreign currencies from India. So, the only allowed pairs of currency for trading are USD/INR, EUR/INR, GBP/INR and JPY/INR. The exchanges used for currency trading in India are Multi Commodity Exchange and National Stock Exchange (NSE) and only resident Indians and companies are allowed to trade in currency futures in India; non-resident Indians and Foreign Institutional Investors are not permitted to trade in currency futures market. The currency trading in India is highly regulated by RBI and SEBI as trading of currency impacts the entire economy of a country. It is because when an Indian trader loses money in currency trading, the country is losing its money to outside players. On making a loss, the trader is actually buying more of the foreign currency that leads to an increase in the current account deficit of the country. 24 hours trading: The currency trading happens all over the world and at any given point in time, some of the other markets are open. So, foreign exchange trading can happen 24 hours a day. Speculation: Currency Trading is an excellent method to make profits using speculation. The traders can make speculations based on world events and make profits based on them. For example, if a trader is foreseeing stronger exports in a particular sector along with high FII, he can speculate on the increase in the value of INR and sell USD/INR and make profits. Hedging: Currency trading is mainly used as a hedging technique by importers and exporters. For example, if an importer has to make payments in USD in the future and is expecting that the USD/INR will depreciate in the future, he can hedge his foreign exchange risks by buying USD/INR and fix the payout rate today. Arbitrage: Most of the currencies are traded on most of the exchanges around the world. Currency trading gives ample arbitrage opportunities to the traders who can buy a currency on one exchange and sell it on another, making profits in the process. Leverage: Currency trading offers the benefit of leverage. The traders can trade more money in the market than they actually own. Just like all the other forms of trading, forex trading also has a lot of risks. It is a very volatile market and can be very daunting for uninformed investors and traders. The biggest risk is that the markets are affected by the news and events, but the actual impact of that news or event is unknown because a currency is traded in pairs. The same event may affect both the currencies in the pair positively and thus the overall impact on the pair remains unpredictable. Therefore, it is strongly advisable that the currency traders practise efficient risk management. They should gather all the information and knowledge and start by using a practice account. The risks should only be taken based on the trader’s own risk appetite and not based on the leverage as leverage can magnify the risks. The risks should also be diversified by trading in different markets and also the use of the stop-loss technique cannot be emphasised more. As a bottom line, currency trading is very rewarding, yet very risky. The traders must exercise caution and self-judgement to assess the risks and risk-taking abilities. Effective strategies must be used to ensure that the trade runs in the expected and favourable direction and risks are minimised. In case you are looking to start trading in currencies or any other investment segment, just fill in some basic details in the form below. 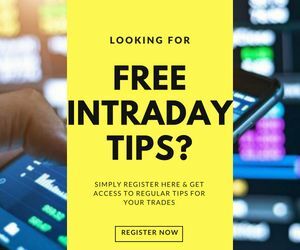 “Which Forex pair and time frame is best to trade” is the frequently asked question and I want do give you the DEFINITE ANSWER. I am very impressed by your excellent writing skills on currency trading.